Brindis is a show celebrating local latinx talent in collaboration with Fort Worth art collective, Art Tooth, as part of the Family Reunion calendar end exhibitions at the Fort Worth Community Art Center. Brindis, or Toast, gives thanks to the many artists Latino Hustle has been able to showcase and exhibit in Fort Worth. In the spirit of Art Tooth’s These are my Friends program, we bring together a selection of local and regional Latinx artists who we consider friends and are making big impacts with their work. The exhibition brings Fabiola Valenzuela, Brenda Edith Franco, Melissa Gamez-Herrera, Juana Guzman, Ricardo Orozco and Arnold Hurtado. Art Room presents Arena of Exchanges, a dynamic and interactive art experience created by Denton, Texas-based artist Blake Weld. This contemporary exhibition includes large-scale sculptural objects made in 2018. As an interdisciplinary artist, Weld has utilized a variety of materials to create and manipulate his artwork. From an early age, he exhibited a curiosity for constructing object-based pieces with an interest in experimentation and recontextualization. In the Arena of Exchanges, Weld invites viewers to become active participants with the objects in the exhibition. 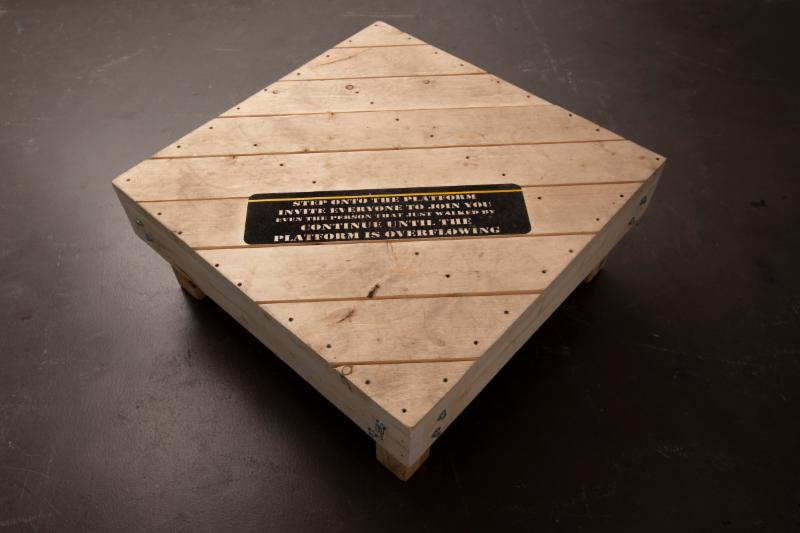 Asking the audience to engage with the artwork in a physical manner explores relational aesthetics. This term was created by curator Nicholas Bourriaud in the 1990s to describe the propensity to create art inspired by human relations and their physical and social environment. Directly involving viewers in the exhibition grants them the power to become the focal point of the art and to initiate and produce new meaning to the works. Dying Photo Club is a three-part photography collective from Fort Worth, Texas focusing on methods and processes such as film, street photography and zine making. 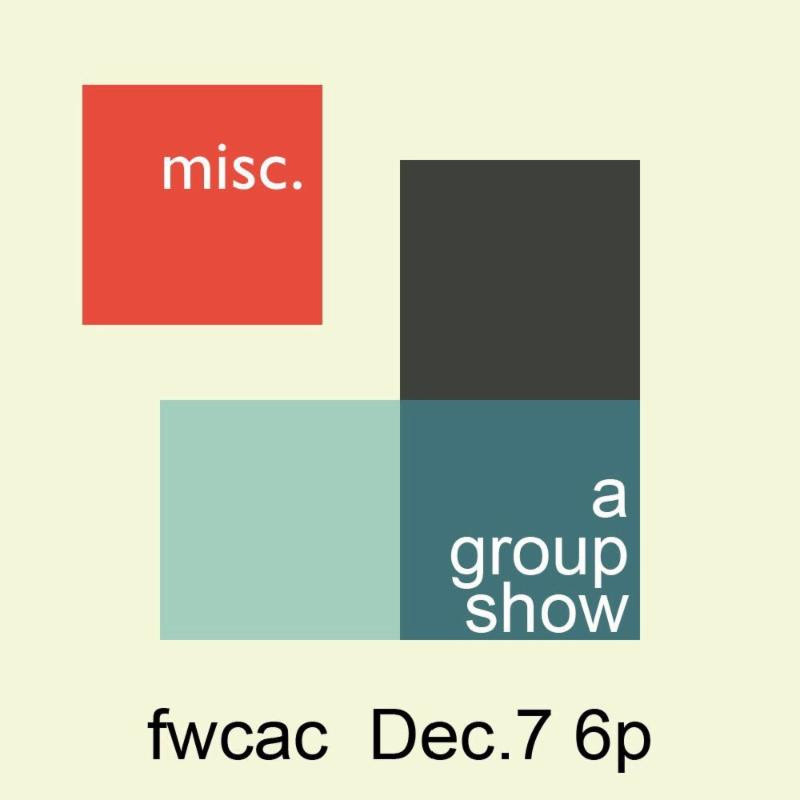 Featuring other exhibitions by Artluck, Fort Worth Art Collective, Mañanaland, and SAM Gallery. 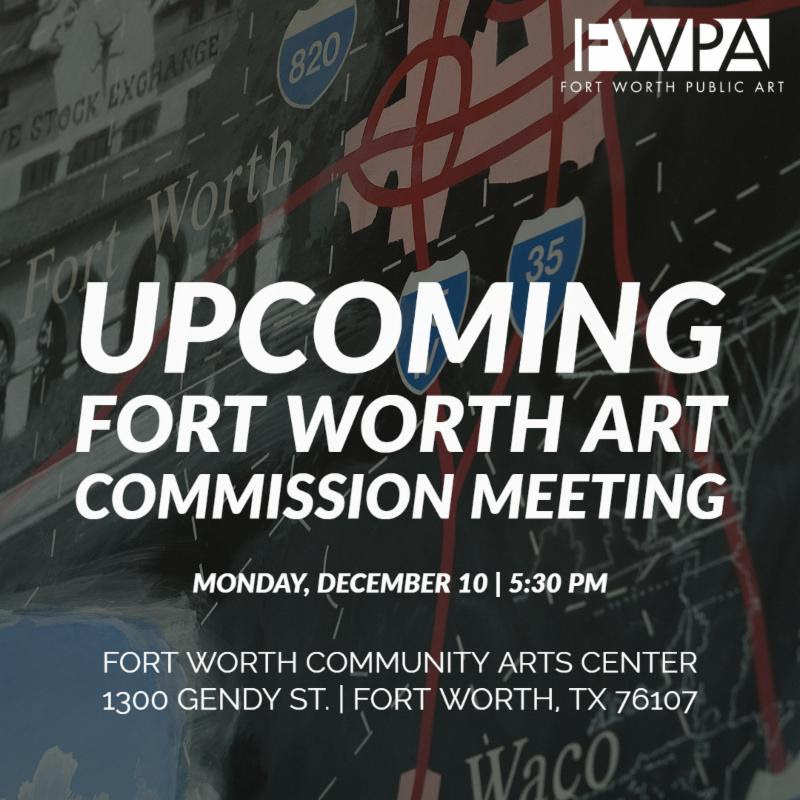 At their December meeting the Fort Worth Art Commission will review Kris Pierce’s final design for the Fort Worth Community Art Center Plinths,and receive updates on the State Highway 121, Pioneer Tower Iconic Artwork and Lake Como Park public art projects.